Willoughby Hedge, Nr Mere, Wiltshire. Reported 5th June. The Crop Circle is the Lotus flower with 10 petals. When the lotus flower has 10 petals, it symbolizes two ancient gods: Rudra and his wife Lakini. 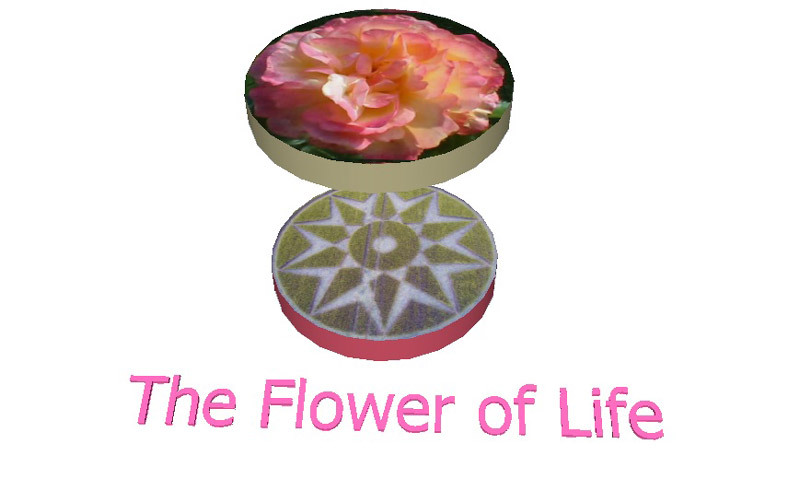 The Lotus flower with 10 petals, has in the center the symbol of fire "aggregator", namely the Plasma. Overall, it is a Chakra, then an opening of our soul / consciousness towards higher energies. A domain on the Plasma Energy? million suns were arranged inside. Ave Domina Nostra Per Astra! We express our gratitude to the astral Creators of ‚Hill Barn - 05/06‘/‚Willoughby Hedge - 06/05‘ and send our love to Them! (Blog) Please view (PDF) (Download) our geodesic-astronomic analysis on these two loftily adorable manifestations, thank you. The formation symbolizes 10 days; the four corners of each segment symbolize the four directions of wind (East, South, West and North) that refer to the day. One of the Mayan calendars is the so called Haab: traditionally this is the wandering calendar-year that consisted of 365 days without any leap days. However, nowadays there is a lot of confusion when the Haab (the day “1 Pop”) starts. According to me, nowadays the Haab has leap-days and starts on May 26 (0 Pop) and May 27 (1 Pop) each year. The Haab followed tradition until the year 1755: in that year, June 5 was 1 Pop or new year’s day, but since the year 1757 new year starts on May 26 (0 Pop) and May 27 (1 Pop), and June 5 (the date of the formation) is the date 10 Pop. The formation reveals some remarkable facts that support this theory. First, we can consider the date 10 Pop in the Mayan year that started before the beginning of the Great Cycle in the year -3113. We know from Maya research that August 11, -3113 (proleptic Gregorian date) was a date 8 Cumku at the end of the Mayan year. Based on this fact, we are able to determine the day 10 Pop that Mayan year, which is September 7, -3114. Secondly, we can consider the most recent years, before the year 1757, in which June 5 (the formation’s creation date) was a date 10 Pop. This was the case in the years 284 to 287. The year 284 was a special year, because in this year the year 1 of the Coptic calendar started and in the year 284 the sidereal zodiac (according to Vedic tradition: the star Spica = 0 degrees Libra) and tropical zodiac were identical, which happens only once each 25,800 years. The days 0 Pop to 10 Pop (May 26 until June 5) of the year 284 were also characterized by a heliacal rise of the Pleiades. Furthermore, we should consider the first year in which 10 Pop was June 5 and synchronization with the Gregorian calendar took place. This was the date June 5, 1757, 10 Pop. It is interesting to consider the time span between these four dates (September 7, -3114; June 5, 284; June 5, 1757 and June 5, 2016). In future, the calendar will continue to follow the Pleiades, which means that the year ends with a conjunction of the sun with the Pleiades (on May 20 or May 21). This requires an additional leap day each 160 years. Hence, the calendar follows the sidereal (the year that is related to the stars), not the tropical year (the year that is related to the seasons). One of the ten points of the formation point towards sunrise and moonrise (the mean of both is 56 degrees East of North) on June 5, 2016, new moon. The formation is close to the roads A303 and B3089. The day 10 Pop is the 11th day of the Vinal Pop (starting with 0 Pop). We can remarkably easy combine the numbers 303, 3089 and 11 as follows: 303 × (2 × 3089 + 11/2) = 1,873,600.5. This number only differs a half from the longest time span of 1,873,600 days! According to the Mayan calendar Tzolkin, 5th June 2016 is a day with the Solar Seal “Yellow Star” with Tone 12 – the Crystal Tone of Cooperation. This is Kin (day) 168 in Tzolkin – Yellow Crystal Star. Kin 168 is a Galactic Activation Portal Day. According to the 13-Moon calendar, 5th June 2016 is a day of the 12th Crystal Moon, i.e. of the 12th Lunar month with Tone 12 - the Crystal Tone of Cooperation. So, 5th June 2016 is a day with Tone 12 and a day of the 12th Moon. 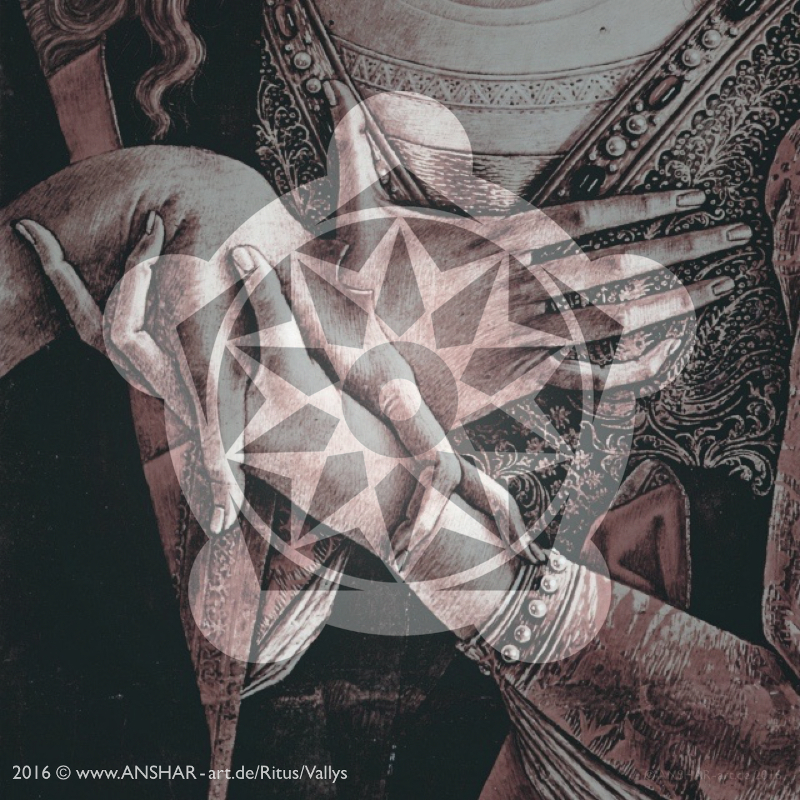 Such a day is called a day of the Magic Turtle – this is a day, when the Tone of the current Lunar month and the Tone of the day coincide. 5th June 2016 is also a day of the Yellow Castle with main energy “Yellow Sun”. Yellow Star, Tone 12, Yellow Sun, White Dog. On the crop circle we see an amazing star with 10 “crystal-rays”. On this way is depicted the energy of the day – Yellow Crystal Star, i.e. Yellow Star with Tone 12 – the Crystal Tone of the Cooperation. On the center of the crop circle is depicted a small circle, which symbolizes a Portal. 5th June 2016 is a Galactic Activation Portal Day. The outer apexes of the crystals are surrounded through a broken closed line, which has 20 sides in total. Around the outer apex of each crystal there are 2 sides of this line, with numbers 1 and 2 on the image. The number 20 symbolizes the energy “Yellow Sun” (Solar Seal No. 20) – the main energy of the current Yellow Castle. 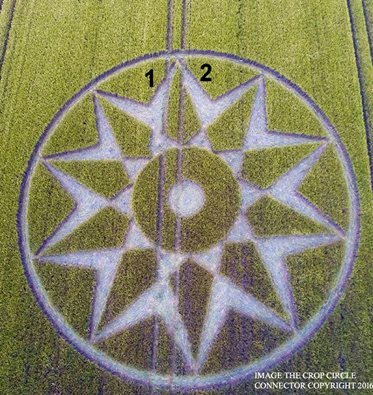 The star on the crop circle has 10 “crystal-rays”. Here the number 10 symbolizes the energy “White Dog” (Solar Seal No. 10) – the Challenging energy of the Yellow Sun. The Yellow Castle is the 4th Castle in Tzolkin. It began on 25th May 2016 and continues until 15th July 2016. In this time we receive and have the possibility to accept and integrate the energy Yellow Sun – Enlightenment, Ascension, Universal Fire, Life. The 12th Lunar month or the 12th Crystal Moon began on 30th May 2016 and continues until 26th June 2016. During this period we receive and can accept and integrate Tone 12 – the Crystal Tone of Cooperation. Gratitude to the photographer !